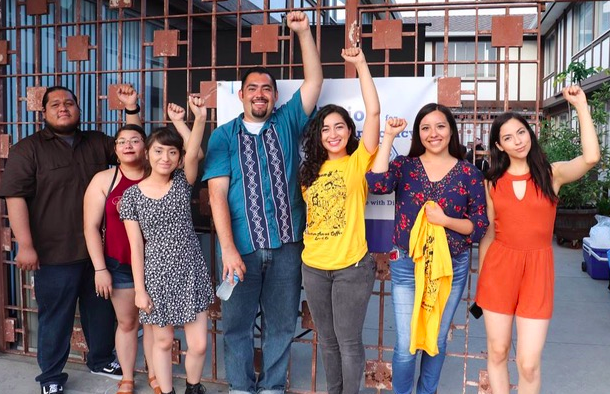 Throughout CSULB, there are many staff and faculty members that are actively seeking to bring positive change into Long Beach and nearby communities. One of them is Dr. Alfredo Carlos, a full-time professor in the Political Science and Chicano and Latino Studies departments. Carlos recently founded the Foundation for Economic Democracy in Long Beach. The non-profit organization seeks to promote worker cooperatives throughout local communities with a focus on also educating the public on personal finance. Among his goals, Carlos hopes to bring upon major change in local communities that can be sustainable for workers and families in the long-term. We sat down to talk to him about his organization and learn more about what drives him to help others. A: The goal of the foundation for the Foundation for Economic Democracy is to long-term get people to think about changing the way our economy functions. Right now it functions to benefit people who own businesses and long-term, we want workers to benefit from the work that they do. Q: Your organization has put forth plans on creating worker cooperatives. Can you talk about the plans that you for this project? A: What we're trying to do in Long Beach, and the Harbor Area specifically, is we want to keep teaching people about what worker cooperatives are and promoting them as important so we can build a culture of consumption. Q: What is one proud achievement that you have had with the organization? A: It’s the fact that we got a grant from the Long Beach Community Foundation to do the survey that we did and to develop curriculum on helping people develop this [worker cooperatives]. But that allowed us to hire a couple of people… there wasn't a lot of money but enough for us to actually go out and do something. So we built a large volunteer base and a large support base for the work that we are doing. Q: Is there one person that motivated you to start the organization or was there a moment in your life that prompted you to start making positive change in the community? A: I had a ton but the reason I got into this was I grew up poor. I grew up in a two-bedroom apartment with like eight people living there and my bed was in the living room... You don’t think about yourself growing up poor. When I got older and went to college, I got interested in issues of inequality and economic and racial injustice. I got involved with a lot of different projects with tenants’ rights, union organizing and living wage stuff. I got involved in any sort of community organizing and community centers… But in all of that work that I was doing, I wasn't having conversations about like what does a world look like that we want to build? Q: Are there are any major projects that you are currently working on or plans that you have in mind for the foreseeable future? A: For this next year, we're working on finding one or two projects to get off the ground slowly but this is connected to housing issues. Part of this is we actually have a community wealth building project that we did that we piloted last year and that we're rolling out, which involves like how do you teach people personal finance. And so one of the things that we need to do is understand how money works in this society so we can leverage that to build our own wealth so that as a community, we can do good things in our community with that money. Q: Are there any ways for people to volunteer or contribute for those interested? A: We do need help and we do need volunteers but we're looking for people who are interested in one, just doing a lot of work on their own… Even though I'm sort of the leader of the organization, I don't want this to be just my thing. And so as we move forward, the volunteers that we need that need to be motivated.